The European Parliament has voted to scrap the biannual custom of changing clock times in autumn and spring, in favour of maintaining one continuous time in each country. MEPs voted by 410 to 192 in favour of a draft law ending the practice of seasonal time shifts. The vote will form the basis of discussions with EU countries to produce a final law. The changes are to be made by 2021, and EU member states will be able to decide whether they choose to adhere to summer time, or winter time. The plans could apply to the UK if the country is still in the EU or in a transition period at the cutoff in 2021. The government would then have to decide whether to choose winter or summertime. If the UK does not implement the plans it raises the possibility of Northern Ireland having a different timezone to Ireland for six months a year, or, if it opted, to the rest of the UK. The changes mean those countries wishing to keep summer time in perpetuity would make their last clock adjustments in March 2021, while those countries who opt to keep winter time would make their last change in October 2021. 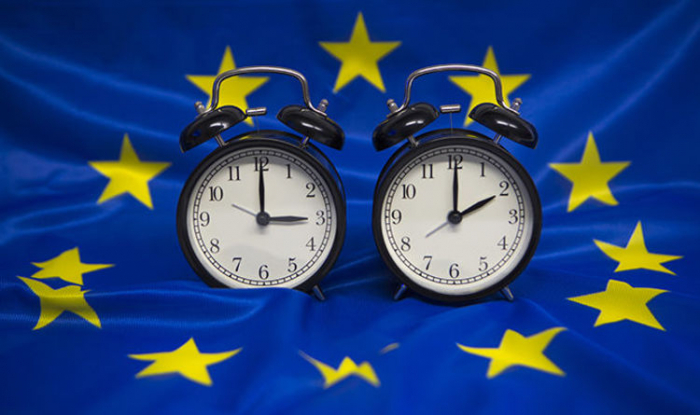 “New technology and different ways of living mean that we no longer earn anything (from time change), in fact we don't save,” Marita Ulvskog, the Swedeish MEP in charge of the time change legislation, told the EU parliament during a debate on the issue on Monday. A survey done last July of 4.6 million EU citizens revealed 84 per cent of European residents, rising to 93 per cent of people in Spain, want to keep summer hours year-round. Fewer than three-quarters of a million people surveyed said they’d prefer to keep the existing system. Other countries wishing to stay on permanent summer time include Finland, Poland, Lithuania and Hungary. Although there was a large majority of those surveyed saying they would like to see a change, it emerged around 70 per cent of the survey’s replies came from Germany, followed by France, then Austria. The UK had the lowest level of participation in the survey, with just 0.02 per cent of the population making their views known to Europe. The Conservative Party has said the move away from two time changes a year was “unwanted and unnecessary”.